If your News Feed is as full as mine with the glorious beach life in Bali, you need to know beyond just that. There is so much more to Bali than just exotic teas, hidden beaches, romantic solace, therapeutic temples and a volcano that seems to be roaring off late. Nestled on this beautiful island is a village that presents an amazing history of art with creativity overflowing in its very locals. 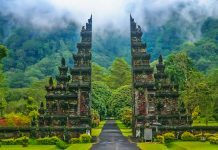 Known as the artistic centre of Bali, Ubud District boasts of its artistic excellence with pride and they have no reason not to. Being the hub of local goldsmiths, painters, batik and wooden art, Ubud is a tour that had me wondering how intricacy was best suited to man over machine. Ubud is a place supported by the old farmers who turned craftsmen post the increase of tourism in Bali. What started as a mere effort for greater profits is now a trade destination and souvenir hub. 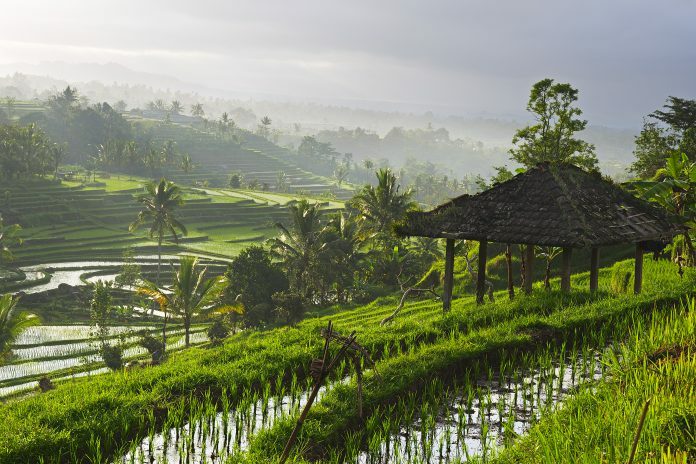 What’s best about planning a visit to Ubud is the fact that there is a guided tour of every art site you visit. As you travel, you are not just left in awe of the brilliance you are exposed to but also educated about how exactly it’s been created. If you’re an art lover pining to soak in creativity at its best, here are 5 attractions in Ubud that you must see to experience not just the beauty of man-made art but the surprise instilled in nature’s own craft. Known for its handcrafted exquisites, Celuk is the centre of gold and silver art in Ubud. Surrounded by mountainous regions, this place presents an interesting display of silver and gold jewellery. They are sold at much lesser rates here and the centres have special tours that take you through the making of beautiful earrings, necklaces, keychains and more. As you drive into Mas, you are surrounded by splendid expressions of art hammered with effort and skill to present a captivating display of wooden sculptures. Locals here are experts in wood crafting and have their hands constantly carving beautiful sculptures with an eye for meaningful creations. Most of the sculptures are not just based on tradition but also created with a twist of modernity. You’ll be surprised as you walk through the doors of any studio and are informed about the different kinds of woods used. It’s magnificent to know how the smell of wood could be used to enliven your home and how the different kinds are used for different purposes. Batuan is known for a special style of painting that took birth in the village in the 1930’s. This Balinese specialty is found at large in Batuan which is also a hub for painters. The village shares a lot of Indian influence. Traditional house compounds converted into galleries full of exquisite paintings makes this place a boiling point of different cultures coloured to perfection as they unite in tradition. The Batuan style of painting includes the use of simple colour, mostly black and white. It usually expresses the mystics of the Balinese culture and detailing is most essential in this kind of art. The locals in Ubud are experts at Batik printing and spread across the district, one can find batik centres home to this intricate form of art. Traditional paints made out of natural ingredients are used to beautify hand-woven carpets, clothes, home accessories etc. 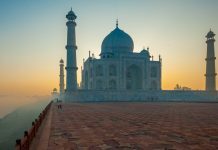 Several techniques are used to do so including stamping, painting and detailing in order to create some magnificent designs embedded with historical significance and cultural magnificence. The entire process is built of various steps that are well-explained and demonstrated by the locals in English. If you are in for a longer stay, there are batik printing classes too. An archaeological site known for its dominance by elephants and sharp wall carvings, Goa Gajah is a must visit if you want to experience Bali’s creative blend of history, nature, and craft. The beautiful relics making their way through the courtyards of this gigantic space leave you intrigued by the local excellence. With so much effort breathed into every cell of this space, meditating under the central cave is not just soothing but also extremely meaningful. A visit to Goa Gajah will definitely leave you full of wisdom and query into the beauty of tradition. Blessed with the eyes of detail and hands of an artist, if you crave creative stimulation, Bali’s Ubud is a valuable trip you should seek for. It is not just full of exemplary expressions that have you stunned by their thought but also a reasonable place to live in with beautiful resorts and spas spread across the village.